This is what I miss most when I was in detox diet. 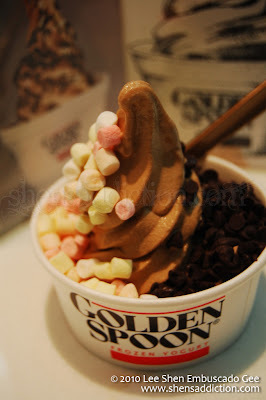 If you want a yogurt that tastes like ice cream, then Golden Spoon is the best yogurt for you. I'm not an ice cream fanatic but yogurt, its a whole different story. I could drown myself in yogurt. Too bad I'm starting my detox diet again this week. Maybe I can cheat.. after all, what's a cup gunna do? its super healthy, after all. have you tired cake batter? that is divine!! 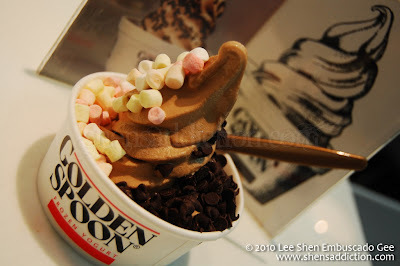 Nyum I want some!! Nothing beats anything like a yogurt that tastes like ice cream!